DC driver, 24 channels (3 groups of 8 channels). 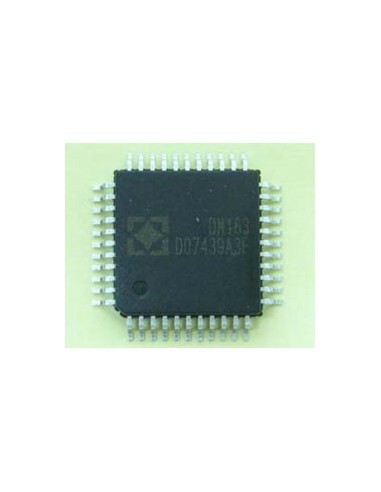 DM163 QFP44 is a LED driver that includes: shift registers; data latches; 24 (3 groups of 8) DC sources, the current of which is tuned by three external resistors; module of formation of PWM 64 * 256 levels. Each channel provides a maximum current of 60mA. The brightness data is in two banks BANK0 and BANK1, which are selected via SELBK output. BANK0 contains 6-bit brightness information, and BANK1 8-bit brightness information. Depending on system requirements, both PWM banks can be used together to achieve the maximum range of brightness. Or you can use one of the banks to adjust the brightness, and another bank to store information about the brightness of the point. 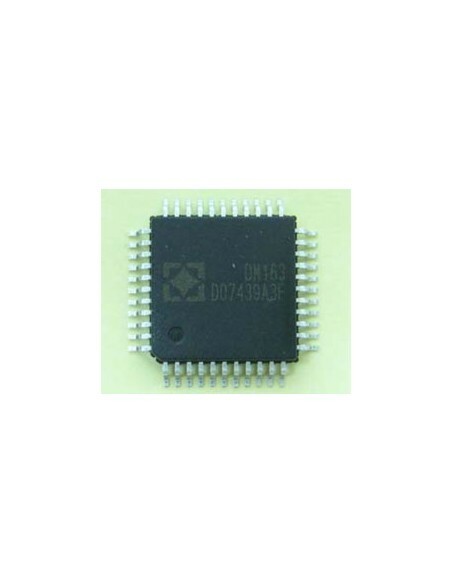 The DM163 can also be used as a PWM controller for the LED driver. 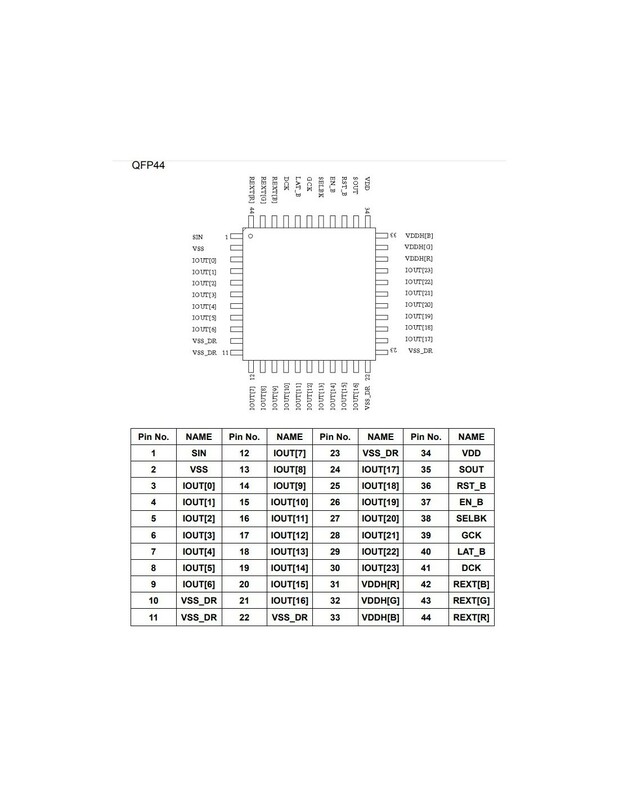 When the VDDH pin is connected to the VDD pin, each of the 24 output channels can work as an inverted digital signal to control the LED driver. 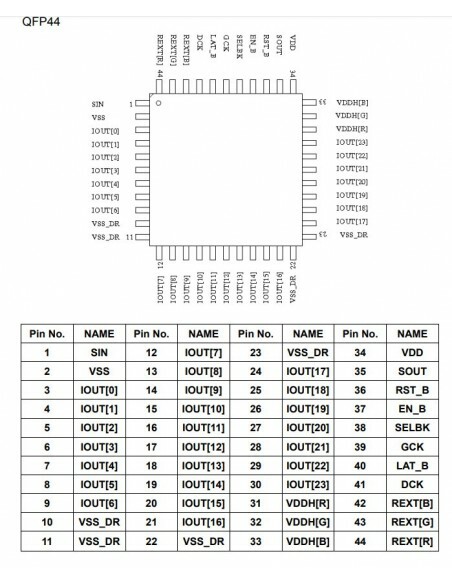 8 + 6 bit PWM brightness control. Output currents are set by three external resistors. The brightness data is downloaded via a serial input.